Data analytics firms study star value, popularity and sentiment generated by a film among audiences, to help producers in their promotion strategy. We often get bombarded on Facebook with commercials of those exact products we were browsing through on an e-commerce website, say an hour ago. We no longer need to search for the next episode of our favourite series on YouTube because it helps us continue from where we stopped. Delivery apps seem to gauge our food choices better than we ourselves do, and we are no longer surprised with these human-like qualities of our machines because data analytics is now a reality and has inarguably invaded almost every corner of our social life. If you are social media savvy and have declared your undying love for a particular actor, your choice of a city or even a dress that you like, by all chances Facebook can hit you with the trailer of a movie of this actor, shot in your favourite city with the heroine wearing the kind of clothing that you prefer. Yes, that’s the power of data analytics that is helping filmmakers tweak the aesthetics of their films and reach out to a wider audience with similar taste. As data analytics is picking pace in film industries across India, one of the first films in Bollywood that used data analytics to its advantage was Rajkumar Rao’s Shaadi Mein Zaroor Aana. Infinite Analytics Nucleus, a data analytics firm, studied the uniqueness of the movie, and more importantly, helped to identify its niche audience. “In Shaadi Mein Zaroor Aana, there are certain peculiarities about the movie. For example, there is a certain kind of clothing mentioned in the movie. 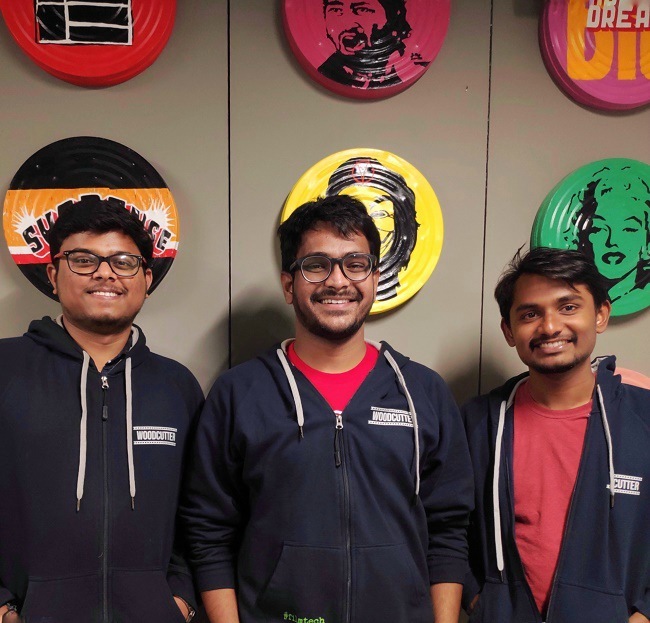 Our platform is able to pick up (via social media) what kind of audience would like that kind of clothing, that colour, down to that minute detail,” Akash Bhatia, co-founder of IAN, had then said in an interview to the Economic Times. Bhatia’s idea worked and needless to say, the trailer of the movie hit one million likes in just five days of its release. Following suit, one of the first films in Tollywood that tried its luck at the number game was C/O Kancharapalem, directed by Venkatesh Maha. With the help of Woodcutter Film Technologies, a data analytics firm working in association with Ramanaidu studios in Hyderabad, Maha could predict 64% of the film’s success at the box office. Woodcutter since then has worked with a number of Tollywood movies, managing the films’ marketing strategies with tailor-made trailers and movie promotions. What’s the number-game all about? Bethanavel, an IIT graduate and founder of Woodcutter Film Technologies, calls data analytics the ‘game-changer’ for the future of Indian movies. “Our immediate goal is to help film producers and distributors understand the buzz a movie creates among the audience so that decisions on promotion, sales/purchase of rights and distribution can be made. Filmmakers have a very limited understanding of their target audience and data analytics helps them with their assumptions; we help them with descriptive analytics of what the audience like in a movie and what they do not, and predictive analysis which helps movie-makers have an estimate of their box-office success,” explains Bethanavel. Some of the major parameters that data analytics experts use to predict the success of the movie are star value, and the kind of popularity and sentiment generated by a particular film among the audience. Experts analyse this pre-release buzz and help producers in the promotion strategy. Bethanavel explains this with an example. “Our team worked on the teaser of the 2017 Bollywood movie Fukrey Returns and our analysis helped the makers a great deal in identifying what the audience liked in the teaser and what they did not. We went down to the minute details of whose screen presence had a better impact on the viewers and how it could be used in the film’s scripting and promotions. We were also able to help them benchmark the buzz of Fukrey Returns with respect to other similar films released around the same time, especially analyse what worked in the teaser for a highly popular film and how that could be emulated in a film at hand," he says. While C/O Kancharapalem managed to hit an accuracy level of only 64% at box-office prediction, other movies like Taxiwala achieved a prediction accuracy of 97%, Savyasachi 86%, Padi Padi Leche Manasu 96%, and Anatriksham and Amar Akbar Anthony managed to hit an accuracy level of 92%. But what exactly does this score mean? “Accuracy can be explained in terms of the collections made on the first day of the movie release,” says Beth, adding, “For example, when Ravi Teja’s Amar Akbar Anthony released, the movie had a collection of Rs 4 crore on the first day and our prediction deviated only 3% from 4 crore, which means we had an accuracy level of 97% in predicting the first day collection for the film. The movie, on the second day, made lesser than Rs 4 crore, and the weekend collections, that is on Friday, Saturday and Sunday, were almost close to our figures. We do not predict whether a film would be a flop or a hit, but rather we give the makers the figures for the first weekend. This is because the first weekend is crucial as the run-time of films in theatres have reduced to a great extent after the advent of OTT platforms,” Bethanavel explains. Speaking to TNM, Preetham Akinenni, a member of the digital team at KWAN, an entertainment and marketing solutions company, says that until recently, there was very little data on movies that was transparent. “But now, maybe in the past ten years, with multiplexes mushrooming and box-office figures becoming available, data analysts are coming up with patterns that are enabling movie-makers to explore options. One of the primary demands directors of a movie now have is to know the reach of the promotions of the movie. Is it doing as good as a Prabhas or a Mahesh Babu film? Knowing these figures definitely reduces the risk factor involved in a film,” Preetham opines. While errors and fallacies cannot be ruled out, experts say it’s often the past data available on the movie of a particular actor that helps in accurate box-office predictions. Preetham says that in the metropolis, while there is a change in the parameters people look for before watching a movie, among the rural audience, movies are still largely star-driven. Multi-starrers are still the most preferred, irrespective of content or aesthetics. “It’s very rarely that you find a movie like C/O Kancharapalem releasing in Tollywood. It was a movie that had no hero and absolutely no star cast. But even before the movie released, it managed to create a good buzz and that was the only element the data analysts could bank on. There was no movie previously made with which Kancharapalem could have been compared. That was one of the reasons why predictions went slightly haywire for the movie,” observes Preetham. Speaking to TNM, Venkatesh Maha, director of C/O Kancharapalem says that as an artiste, numbers haven’t bothered him, especially while writing scripts. Does all this point at a future where audiences can expect better content for movies? No, says Bethanavel. “Content is very subjective. We shouldn’t confuse data analytics as a technology that would produce better scripts. It helps movie-makers to understand what the audience likes the most in a movie and what they hate. Making movies according to the preferences of the audience doesn’t necessarily ensure good content,” opines Bethanavel. Presently, Woodcutter Film Technologies help movies starting from their post-production but Bethanavel says that they hope to put data analytics into use from the time a script is conceived. “We believe that art is something that cannot be taken over by AI (yet). But every scriptwriter understands how storytelling is actually a science that needs to have a structure. It still requires the best of human creativity for great stories to come out. This is where AI can be quite handy – by being a tool in helping the writers to get the fundamentals of storytelling right. We can analyse movies and tell scriptwriters what are the best scripts in the past 10 years that have worked well in the box-office and what haven't. A set pattern can help writers to know the pulse for their audience,” Bethanavel explains. Not just scripts, the Woodcutter team also aspires to analyse the facial expressions of audiences while watching a movie and put this into use while making movies. “We believe applications of AI can extend to other forms of content creation as well– generating stories for advertisements, magazines, blogs, etc. AI can actually evolve into a story generating tool. When this change happens, Woodcutter would be in the forefront driving it,” Bethanavel claims.